Good morning. It's Thursday, Oct. 4. • A scourge of ugly municipal flags across California. • The cost to taxpayers of fighting the Trump administration. 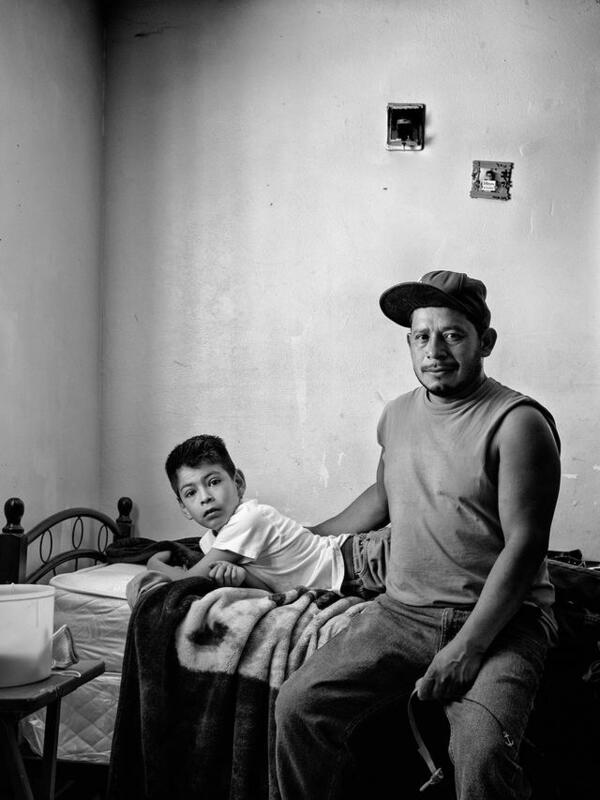 • And photos that capture the dread of migrant farmworkers. 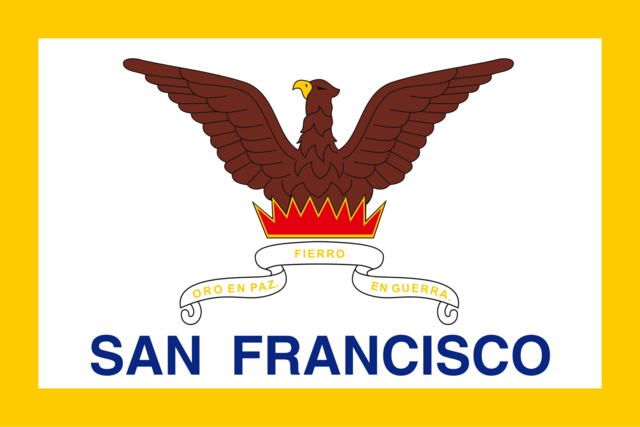 Adopted in 1940, San Francisco’s flag design leaves room for improvement. San Francisco's city flag is such a mess that when a speaker unveiled it during a TED talk a few years ago, laughter erupted. "I know," he said. "It hurts me, too." Poorly designed municipal flags are a scourge in California. But some cities are being shamed into doing something about it. Read more and see some of the best and worst city flags over at the California Sun online. California has filed 44 lawsuits against the Trump administration in the past couple years, including battles over health care, immigration, and energy policy. The legal war has cost California taxpayers more than $10 million. Critics say it's all a political stunt. California's attorney general defended the price tag. We're the fifth largest economy in the world, he said. "That happens because we made investments." Juan Romero tried to help Robert F. Kennedy after the presidential candidate was shot at the Ambassador Hotel. 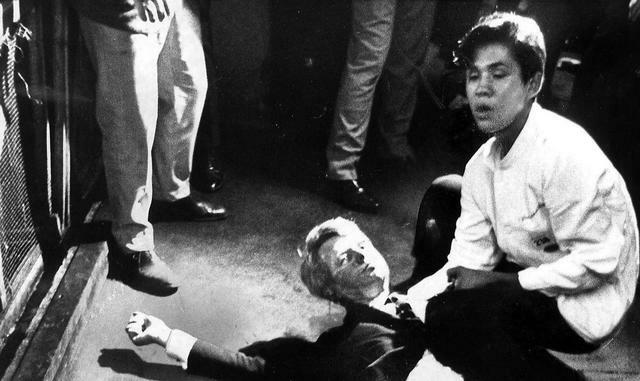 When Robert F. Kennedy was fatally shot at a Los Angeles hotel in 1968, a teenage busboy named Juan Romero cradled his head. Romero was forever haunted by the tragedy. He felt somehow responsible. Many years later, kneeling beside Kennedy's grave at Arlington National Cemetery, he wept and said he had tried to live a good life. Romero died this week in Modesto. He was 68. Rodrigo and Julio. “I am more afraid of the government of the U.S. than the gangs of El Salvador,” said Rodrigo. "Papá, I don’t think you should go to work today. I feel scared." California employs half a million farmworkers and as many as 70 percent of them hold fake papers. This summer, a Magnum photographer documented the lives of immigrants in the Central Valley, where raids and rumors have led parents to name guardians for their children in case they are rounded up. 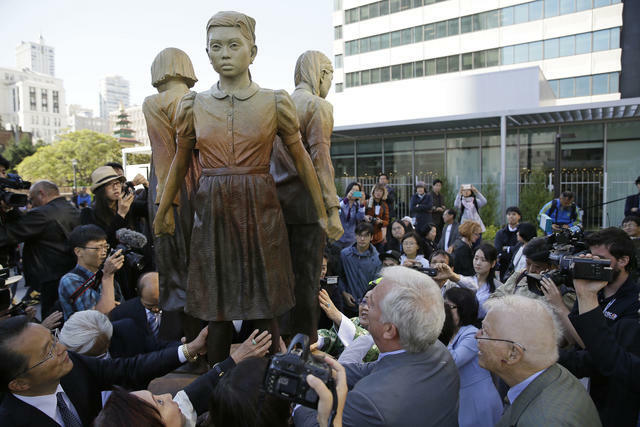 A "comfort women" memorial was unveiled in San Francisco last year. The mayor of Osaka, Japan, sent a letter to San Francisco's mayor saying their six-decade sister city relationship was now over. At issue was a statue in San Francisco's Chinatown that commemorates the "comfort women" who were detained and raped by Japanese soldiers during World War II. Osaka Mayor Hirofumi Yoshimura has called the statue "Japan bashing." Staff members at San Francisco Magazine, founded in 1955, were told recently that a number of them would be fired as the publication cuts costs. 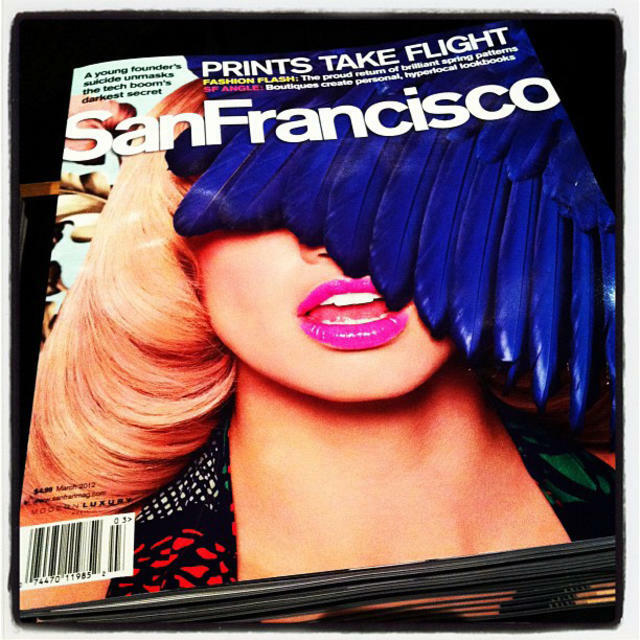 "I hate to say it — and they can certainly prove me wrong," a former editor said, "but I think the days of hard-charging, deeply reported, stylishly written, well-produced magazine journalism are dead in San Francisco." More than 100,000 copies of the anti-Bee mailer were distributed. Rep. Devin Nunes very much dislikes his hometown newspaper. Now his campaign has sent voters in his Central Valley district a glossy 38-page mailer dedicated entirely to attacking the "propaganda machine" otherwise known as the Fresno Bee. 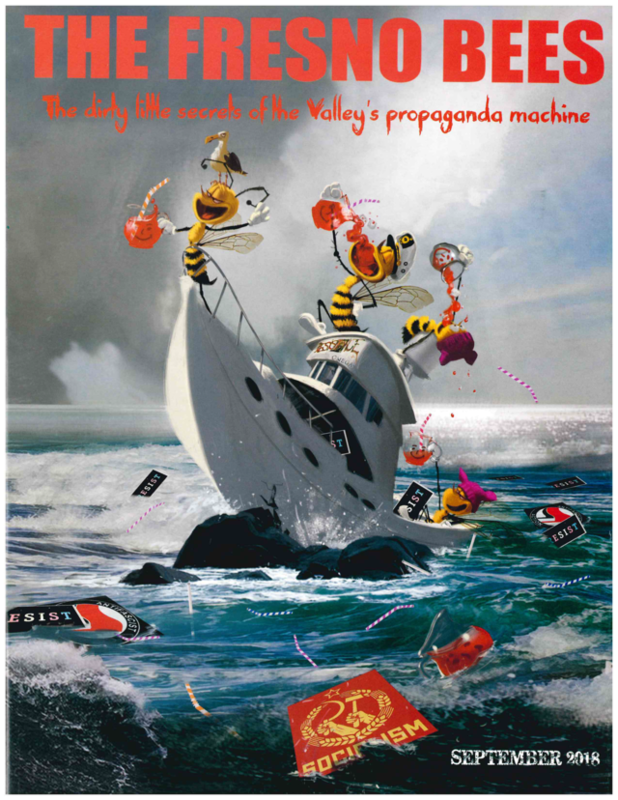 The cover shows cartoon bees on a yacht, drunk on Kool-Aid, crashing into a rocky shore. Posters reading "Resist" and "Socialism" bob in the water. For the first time, an electric vehicle is outselling all but a handful of Toyota and Honda cars. First, it was America’s best-selling electric car. Then it was the best-selling luxury car. "Now, against the odds, Tesla Inc.’s Model 3 is becoming one of the best-selling sedans in America, period." 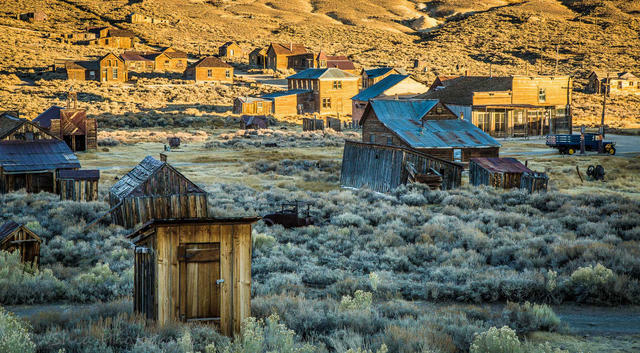 Bodie is one of California’s most authentic gold rush towns. Founded in 1859, Bodie is one of America's largest and best-preserved ghost towns. Nestled in the Bodie Hills east of the Sierra Nevada range, the town's church, school, funeral parlor, and other structures remain much as they were when the last residents left in the 1950s. Photographer Matthew Christopher captured some great images. 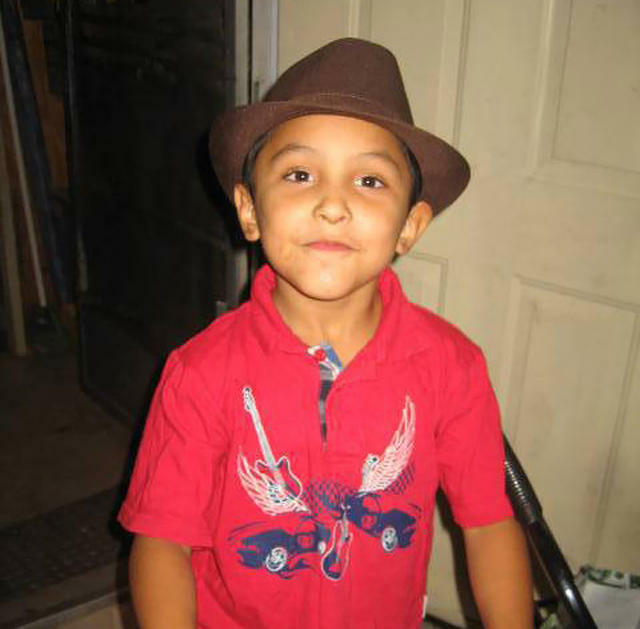 Gabriel Fernandez was routinely beaten in the home of his mother and her boyfriend in Palmdale. "Why did no one save Gabriel?" He was 8 years old, and the signs of abuse were obvious. Yet time and again, caseworkers from Los Angeles County's child-protective services failed to help him. Gabriel died in 2013. He had a fractured skull, broken ribs, burned skin, and missing teeth. This fall, four caseworkers will stand trial for criminal charges of falsifying records and child abuse. The Bakersfield Police Department launched an investigation after a former officer went public with accusations of corruption in the force's top ranks. Chris Messick, who served for nine years, said captains were taking bribes, ordering officers to falsify reports, and retaliating against those who fail to toe the line. "I think it's time the citizens know that," he said. 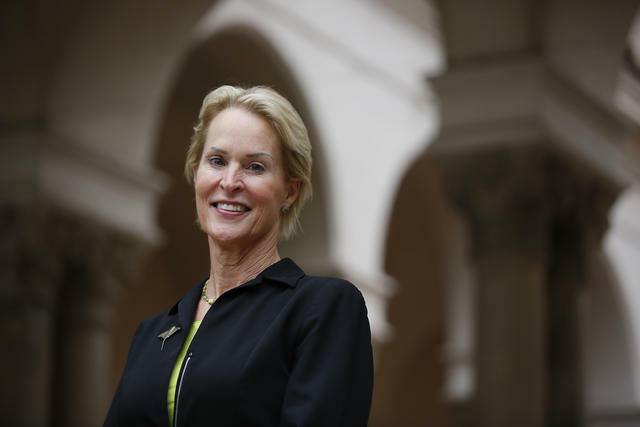 Frances Arnold, at Pasadena's Caltech campus on Wednesday, was only the fifth woman to win a chemistry Nobel. Frances Arnold, a biochemical engineer at Caltech, was among three winners of the Nobel Prize in chemistry. The researchers harnessed a sped-up version of evolution to yield discoveries in medicine and biofuels. "I think we are just at the start of what’s possible with directed evolution," a member of the Nobel committee said. Hollywood women took stock of how much attitudes have changed in the year since sexual assault allegations surfaced against Harvey Weinstein. "Definitely there’s been a seismic shift," said Carey Mulligan. “I feel like if I was walking down the street and someone said something or did something outside the bounds of appropriate, I would feel so much more empowered to tell them to f--- off while before I probably wouldn’t." The Hellsrebels crew in 1994. 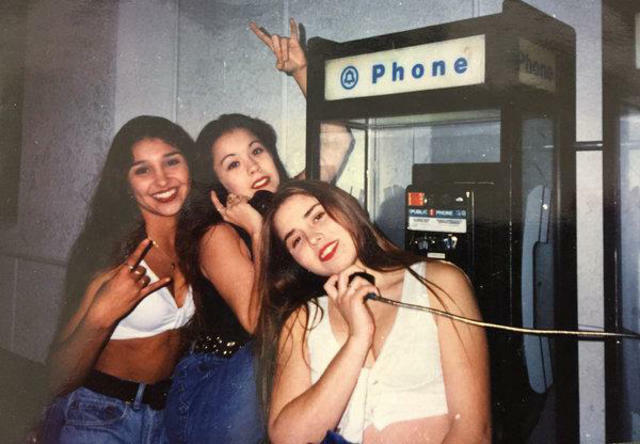 Guadalupe Rosales's Instagram account catalogs the Latina youth scene of Southern California in the 1980s and ’90s. The images differ from male-centric narratives that exude a certain toughness. Rosales's platform shows ladies standing in front of low-rider cars, posing with their friends, or sporting their favorite oversized 501 jeans.